​Prospective tenants ready to sign a lease to start their new business are often taken aback when the Commercial Landlord delivers a proposed lease with up to 50 pages of legal jargon. 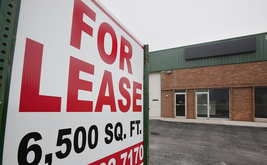 While it may be an issue that the common commercial tenant may gloss over, those pages are fraught with provisions that cause default mechanisms for events you may be completely unaware. Often times, you may be unaware that you and your spouse may be personally liable for the debt or that you could lose property, including your house. From the standpoint of a commercial landlord, the tenant is not paying and you need action quickly. We are able to offer representation for small claims actions or other venues which will give you the quick relief you need.